Every now and then I like to have something fancy for dinner, but I don’t always have time to prepare a fancy meal. I mean, I’m usually cooking with a baby on my hip and a toddler hanging off my leg. The slow cooker saves my behind many nights. A few nights ago I was really in the mood for some pork tenderloin. 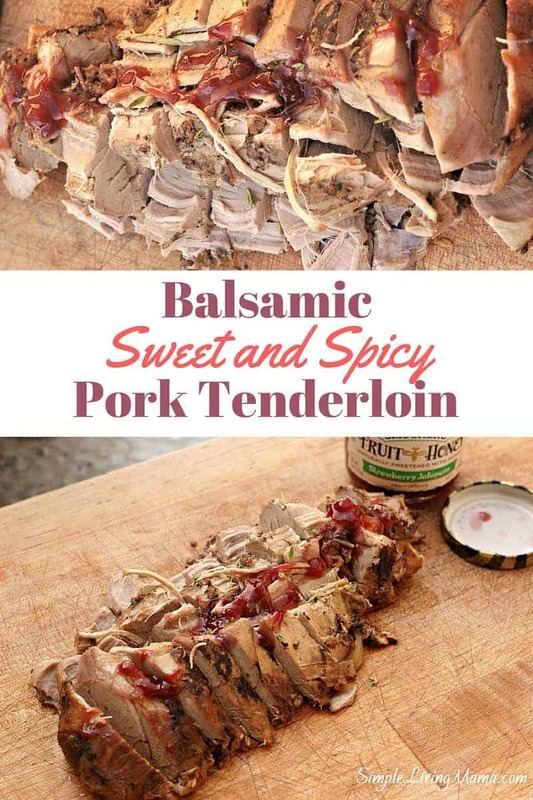 I like pairing sweet flavors with my pork, but I also wanted it to have a little kick. 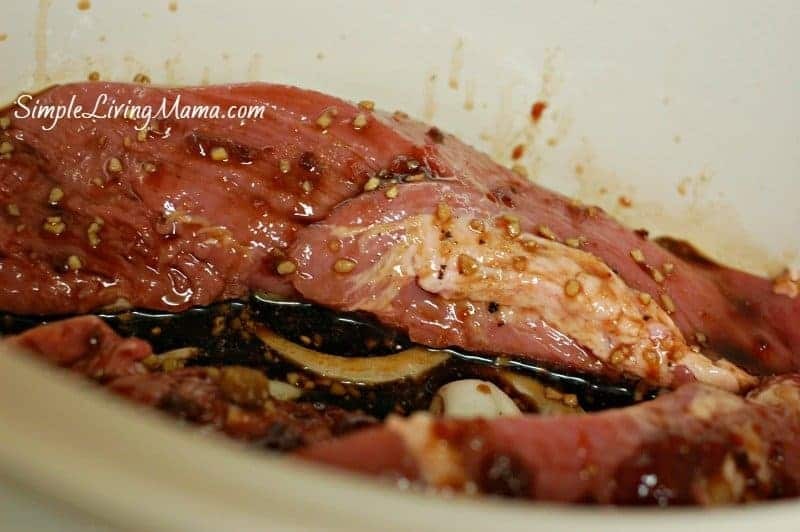 That, my friends, is how I came up with sweet and spicy balsamic pork tenderloin in the slow cooker, of course. Mmm. It really hit the mark when it came to the flavors I was craving. 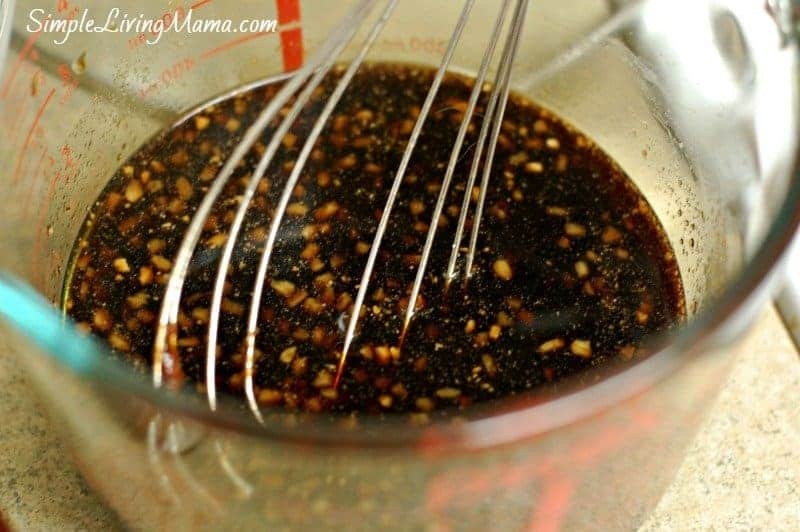 I started out with a pretty simple sauce to pour over the pork tenderloin. 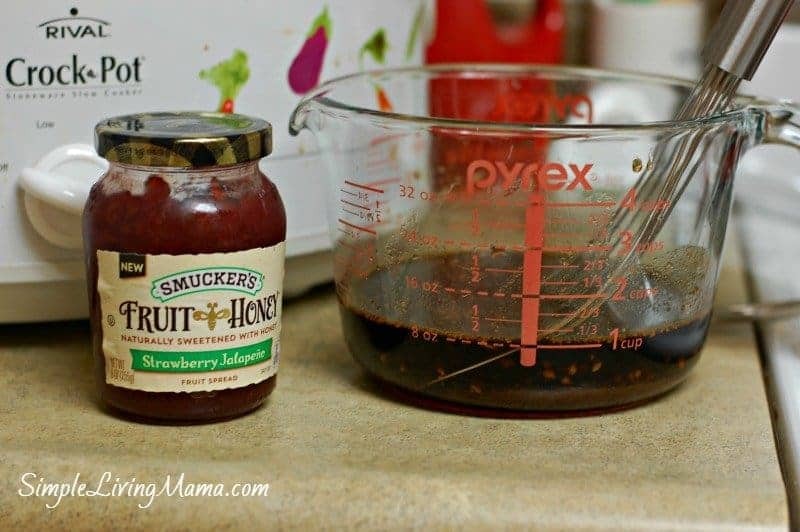 I mixed 1/2 cup chicken broth, 1/2 cup balsamic vinegar, 1/4 cup brown sugar, 3 cloves of garlic, and my secret ingredient, 1/4 cup Smucker’s Fruit and Honey Strawberry Jalapeno Fruit Spread. This stuff is good, y’all. It’s got all the goodness of strawberries with that jalapeno kick. Plus, it’s made with honey. Yum! So, I whisked all of those ingredients together. And poured them over two pork tenderloins and one sliced onion in the slow cooker. 1 package of pork tenderloin usually comes with two pieces. I cooked the pork tenderloin on low for around 6 hours. Oh, my, goodness. I drizzled a little more of the strawberry jalapeno spread on top when I served it and it was such an incredibly fancy feast for very little effort. Look at this fruit spread. I was a little skeptical how strawberry and jalapeno would taste together, but wow, it’s good. 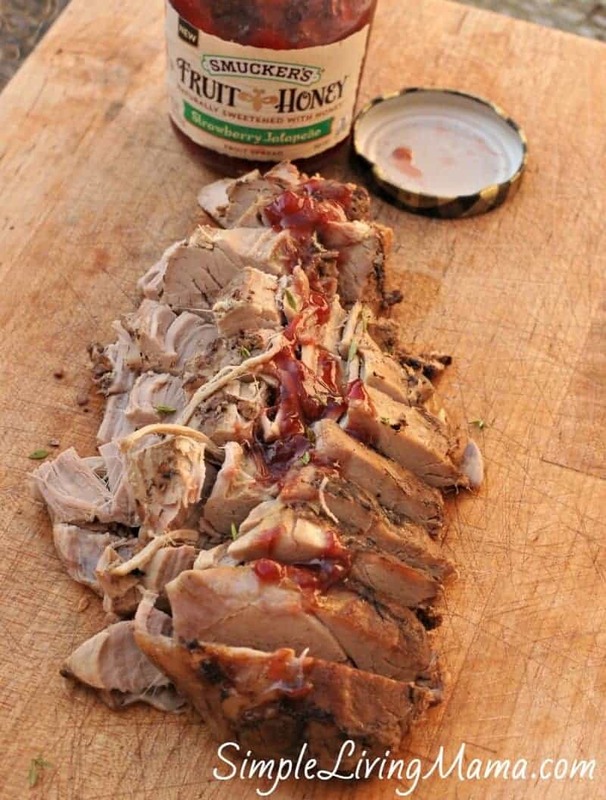 It is definitely spicy, which works so well for the pork. Make this meal for your guests. 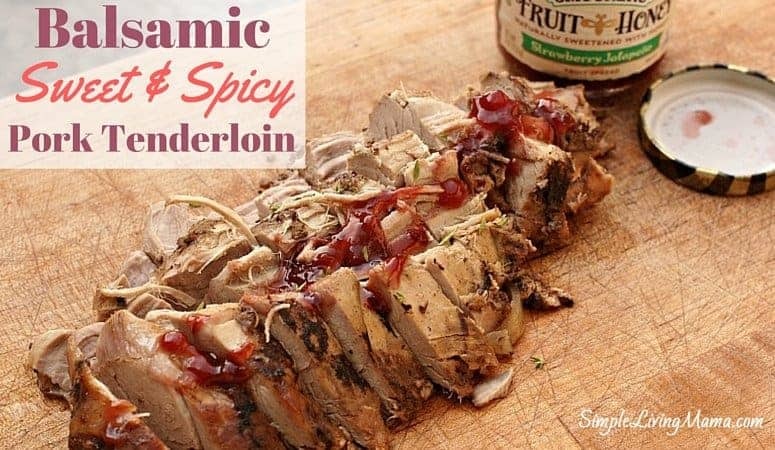 My husband isn’t crazy about pork, but this sweet and spicy combo was just perfect for our weeknight meal. I wonder what else I could make with this spread. I’ve tried it on toast and it was pretty good, too! I decided to serve this pork tenderloin with some fresh asparagus roasted with Parmesan cheese. You could do sweet potatoes or any other green veggie you like. Even picky kids will eat it. 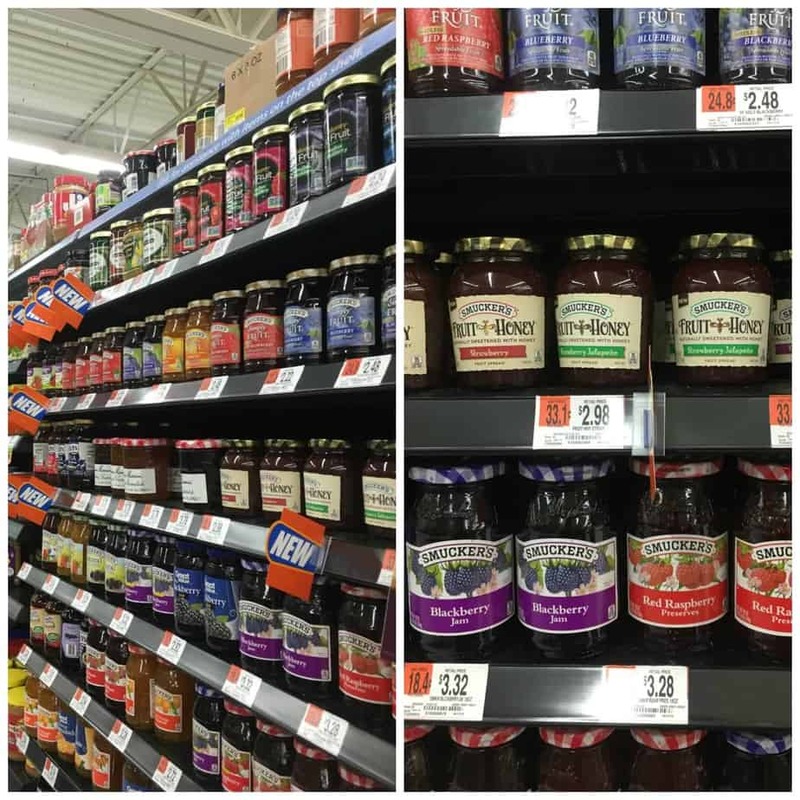 I found the Smucker’s Fruit and Honey Strawberry Jalapeno Fruit Spread at Walmart in the jams and jelly section. 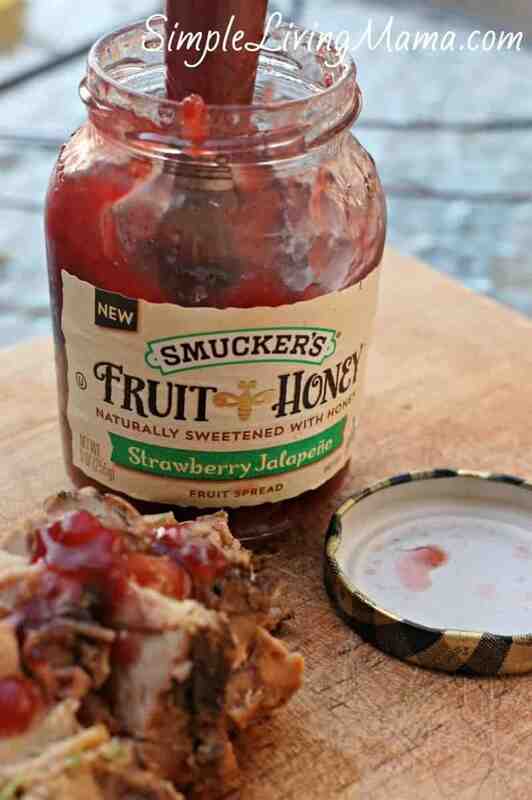 Earn $1.00 off Smucker’s Fruit & Honey Fruit Spread. 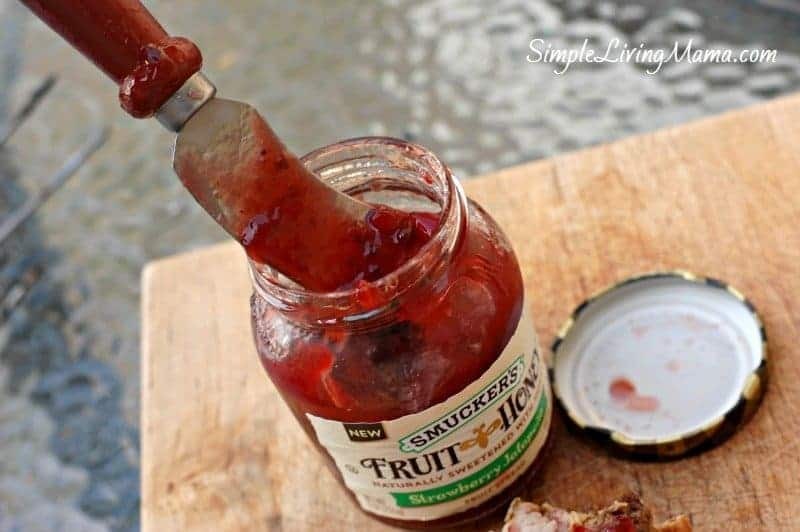 For more great recipes visit the Smucker’s Hub. 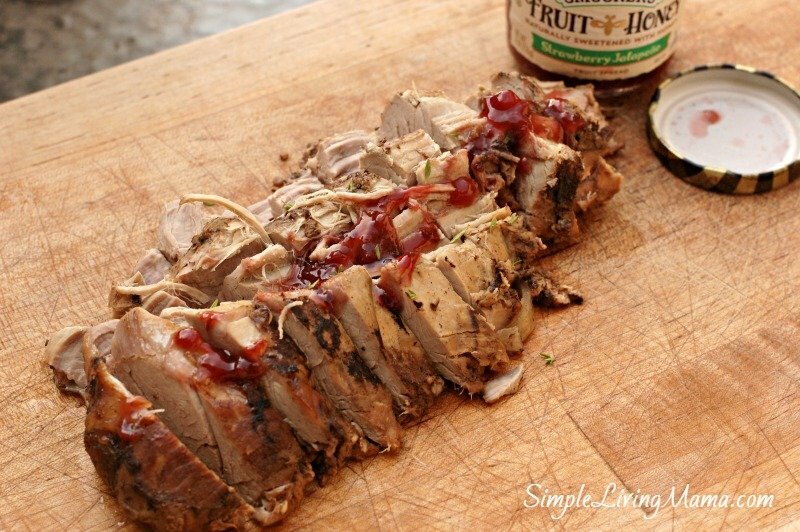 A delicious sweet and spicy pork tenderloin cooked to perfection in the slow cooker. 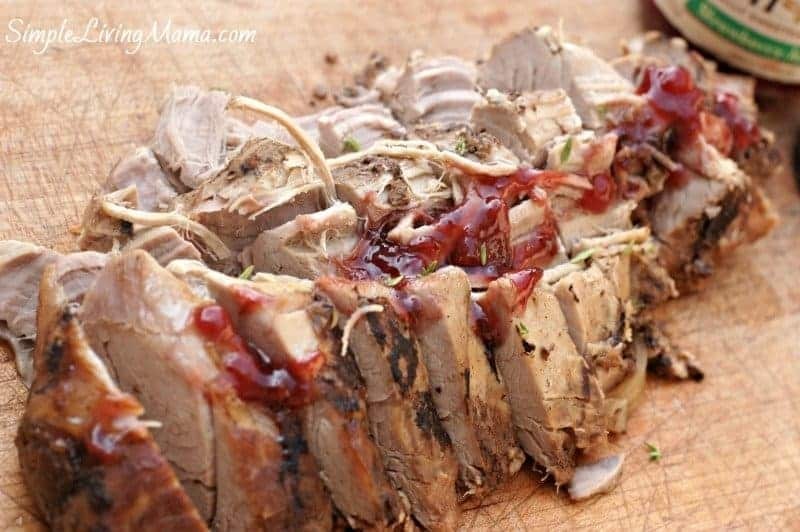 Place pork tenderloin and onion in slow cooker. Serve with additional fruit spread.